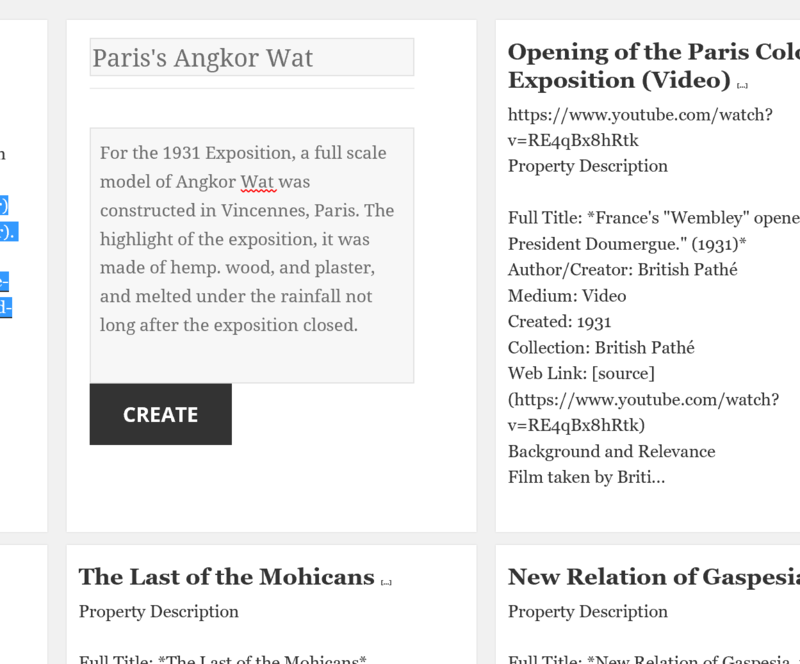 If you’ve started a new site on Wikity, you’ll notice that it has a new interface. 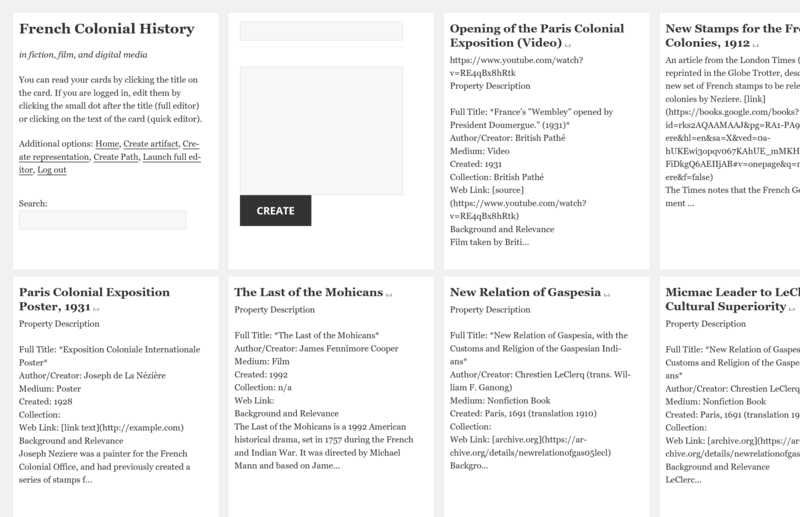 We’ve taken some cues from people who loved the index-cardiness of federated wiki and from others who urged us to embrace the “like Pinterest for text” elevator speech and JUST GO WITH IT. These are your latest posts, with special first two cards. 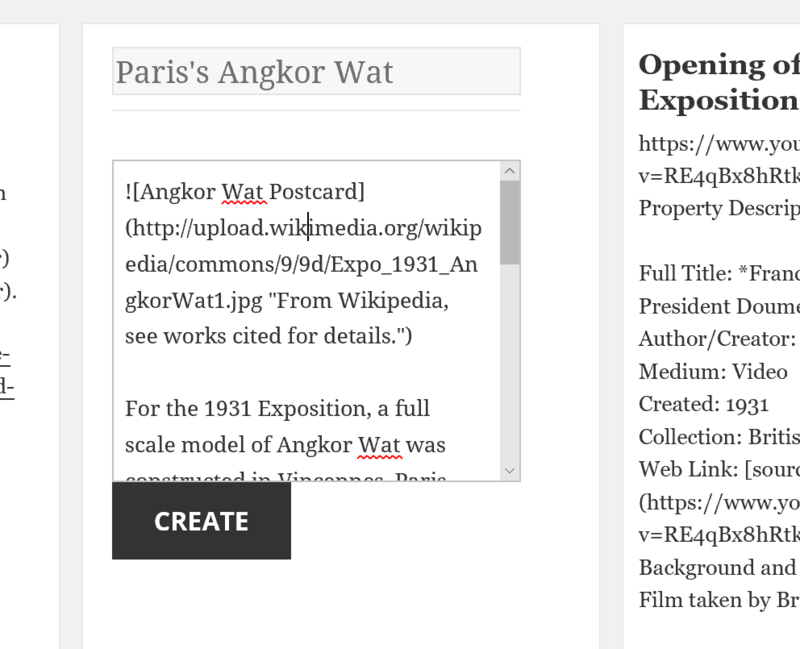 The first card has your site name and description, as well as a number of functions we’ll get to in a moment. The second card, which only appears when you are logged in as an author or editor, is a “quick create” window, and it turns out to be awesome. So let’s make a page using the quick create interface. 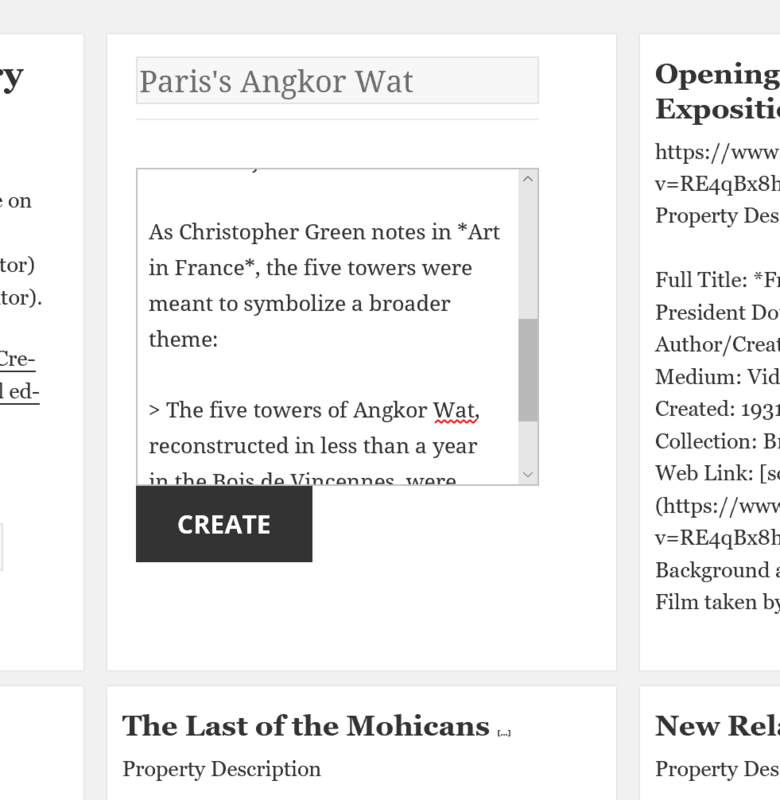 We’re going to make this page using Markdown. While Markdown has a but of a learning curve to it, it turns out to be easier to learn and less overwhelming than many graphical WYSIWYG interfaces. It also turns out to be a killer way to compose posts on your phone as well as make sure that the site is accessible to people who may not be able to operate a mouse or trackpad, or may have a vision impairment which makes selection of text time-consuming. In the past few weeks, I’ve come to see Markdown support in terms of universal design, and it’s a good fit. So we make a page. Here we’re going to take some notes for a class on colonialism. 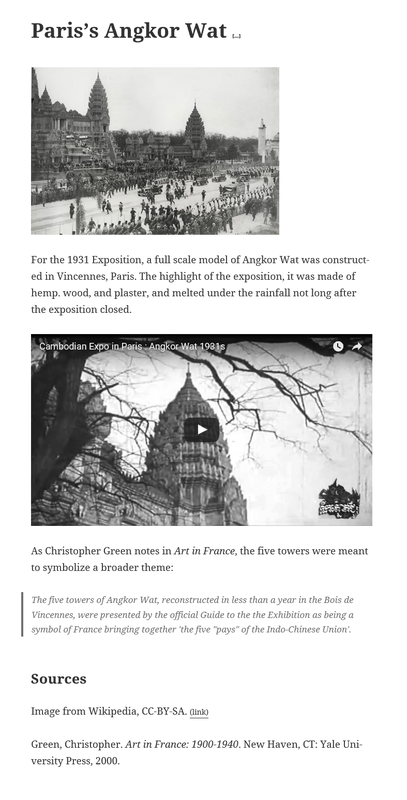 We’re researching the 1931 Paris exhibition (one of the last of the “human zoos”) and we want to research and record what we can on the full-scale model of Angkor Wat which was constructed in Paris for the event. We fill out the title and write an introductory paragraph. 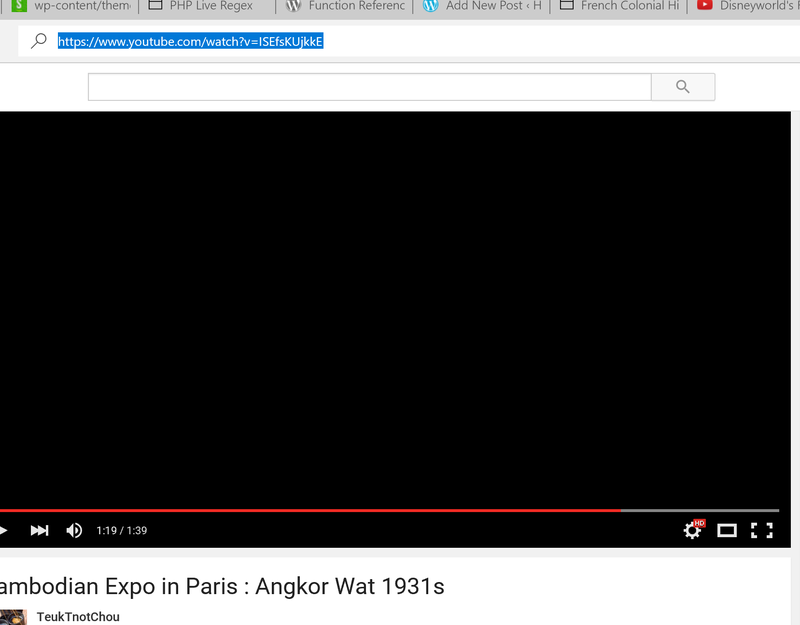 Then we decide we want to add a video, so we copy a YouTube URL. Want to edit it after you post? Just click any card in your “card stack”, and it goes back to edit mode. I know this may seem like it’s complex, but I’ve shown this to a few people now, and the pain of having to learn a bit of Markdown is made worth it by never having to enter into the Dashboard interface, even when doing a complicated multi-part formatted document like this. 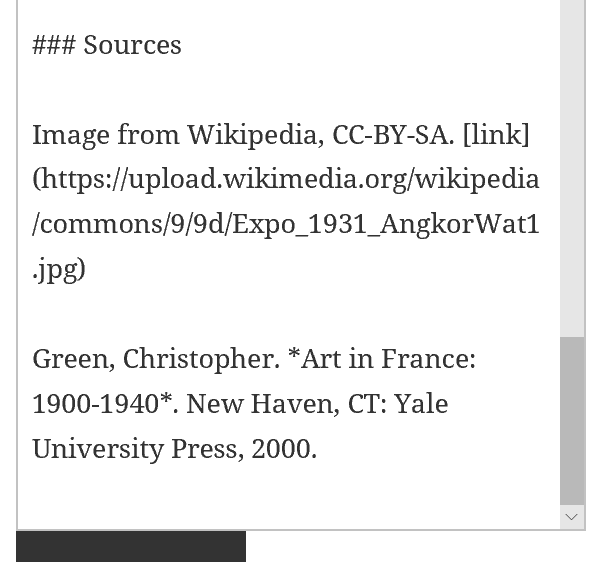 Moreover, I am not kidding you when I say it is possible to compose a document like this using any size smartphone — there’s no modifier keys needed (alt, cntrl), no complex download and upload behaviors, no ribbon menu bars, no right click. I personally believe the laptop is the most perfect machine ever invented, but I have done edits on the fly on my phone, and even started an article or two. The ability to do this on mobile can supplement laptop use in nice ways. 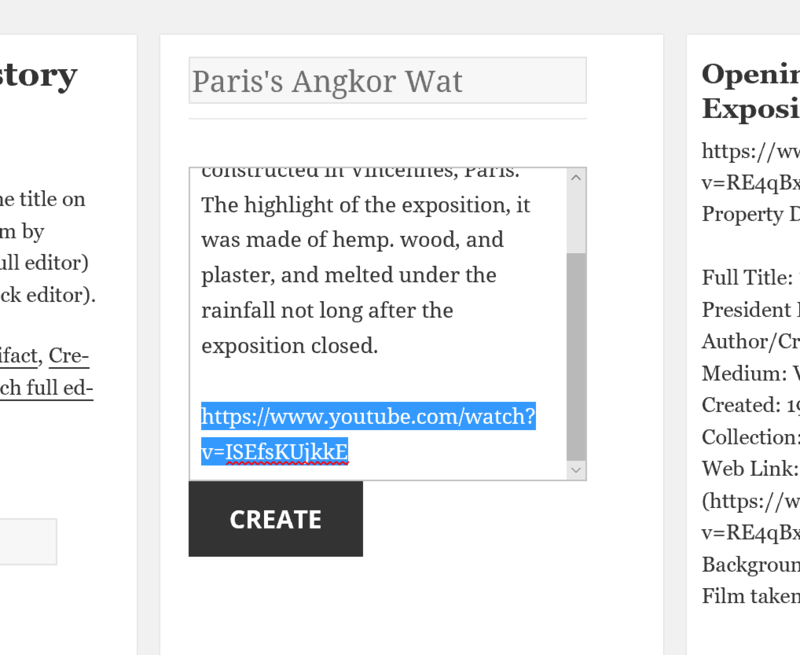 Anyway, next post will be on the new feature called “paths”, which was inspired by Vannevar Bush, but can also form the basis of an OER strategy. Woah, Neo. This is really slick. Now I am getting interested. Just registered for a new one. Will do. It’s “GitHub flavored markdown” if you’re looking for the precise set of features. One thing — make sure you log in before you do stuff, and don’t forget to put a title in before you post — I don’t catch a bunch of errors so some things fail silently right now, but it’s usually either: not logged in, trying to write over existing title, or not filling in both fields.